Today's map comes from the Economic Policy Institute. 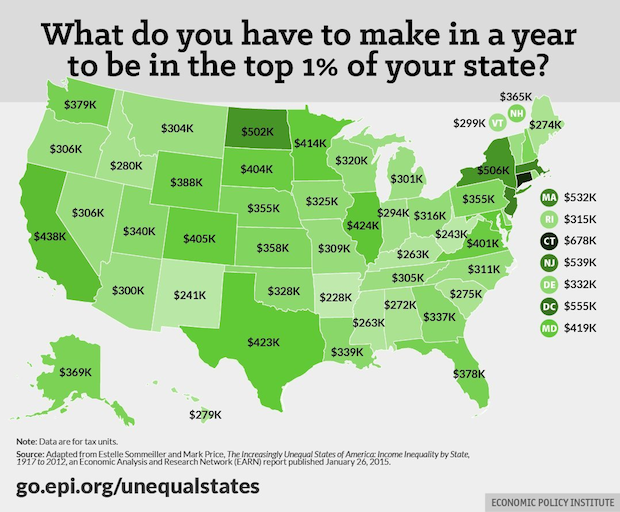 At one end of the spectrum, the 1% in Connecticut earns at least $677,608 per year. In Arkansas, the 1% threshold is $228,298. The Afternoon Map is a semi-regular feature in which we post maps and infographics. In the afternoon. Semi-regularly. Thanks to the Huffington Post for finding this one.